I am the first person that will scream, "In running, there is NO shame in walking." It is that all-or-nothing attitude that says, "If I can't run the whole way, I'm not doing it at all" that stops people from even trying. Walk if you have to. Crawl if you have to. Just keep moving forward. Most people start in the same place and you have to work through that hard-beginning part in order to become a better runner. The great thing is that the harder that it is for you, the more calories you are burning. Once it gets easier, you need to figure out a way to make it harder to keep up the same level of calorie burn. In order to learn to run, most people have to first do running and walking intervals. 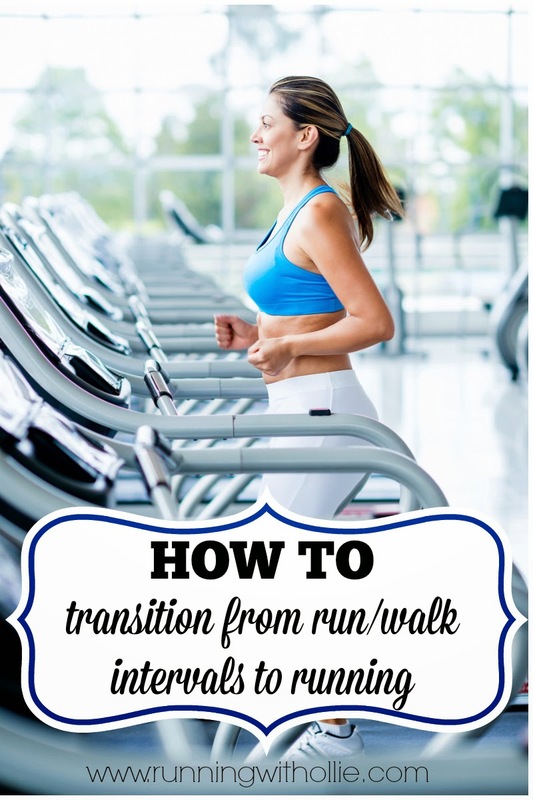 But once you have been doing it for awhile, how do you make the transition from running and walking to just running? I have two techniques that you could try. One is ideal for street running and one is ideal for treadmill running. I am not a running coach or personal trainer. I am sharing the things that personally have worked for me to transition from run/walk intervals to just running. Please try any new exercises at your own risk (i.e. don't sue me if you die). The fastest way I know to transition from run/walk intervals on the streets to an all-running plan is to follow these instructions as closely as possible. 1. Walk for a few minutes to warm up. Try some dynamic stretching before you get started. 2. Start running at a slow pace. Don't start off too fast or you'll just wear yourself out. 3. When you feel like you just can't run for one more second, try to take 50 more steps, then slow to a fast walk. It is important to be sure that you are listening to your body and not your mind. Is your mind telling you can't go on? Or is it your body or lungs? Sometimes your mind will tell you to stop, but think about it first. Can I breathe? Are my legs OK? How do I feel physically? If it is just your mind, keep going. Your thoughts lie. 4. If you need to slow to a walk, it's OK. Only walk as long as you need to in order to recover. It is really important to be honest with yourself and start running again as soon as you are able. Don't walk for one second longer than necessary. 5. Repeat the running cycle. Run as long as you can. When you think you need to stop, try to count out 50 more steps. As long as you aren't feeling any physical pain, push yourself to keep running for just a little bit longer. When you are sure it is your body and not your mind, it is OK to walk again to recover. 6. Start the run cycle again. 7. The idea is that you run for as long as you physically can, then walk only as much as necessary. If you continue this cycle, while being completely honest with yourself, over time, your run intervals will become longer and your walk intervals will become shorter, until there are no walk intervals at all. This same technique can be used to improve your pace. 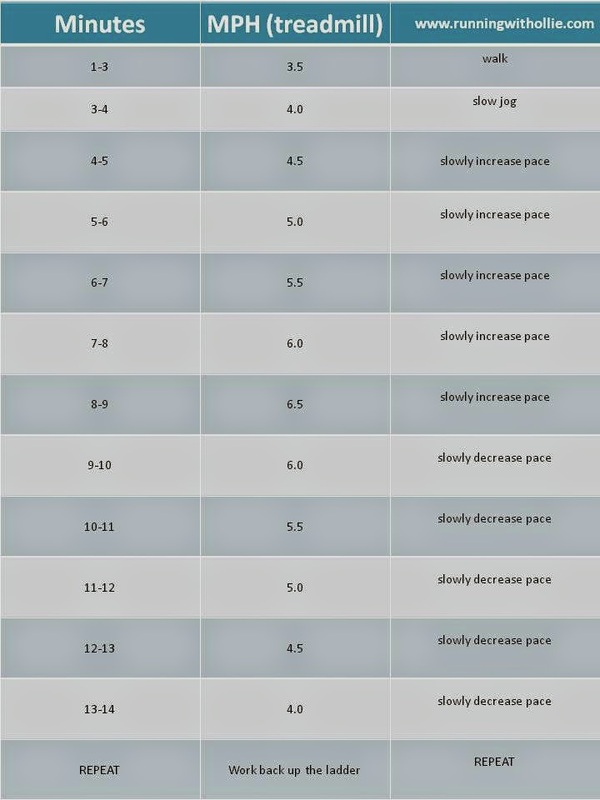 Just replace the walk intervals with slower run internals. Run fast, then run slower to recover until you don't have to run slower anymore. You could easily do the same routine above on the treadmill, but I recommend a treadmill routine that really boosts running confidence and allows running at different paces instead of taking walk breaks. 1. Walk for a few minutes on the treadmill to warm up. 4. Run for one minute at each .5 increment until you reach your max. You'll know your max when you get there, if you can't keep it up for a minute (or if your breathing is really labored), you went too far. I love this because you gradually build your speed. You only run at each speed for one minute and as soon as you reach your peak speed, you get to start gradually slowing down. It allows you to run faster but grants you the recovery time in the slower intervals without actually walking. The great thing about this workout is that you can adjust it as your get stronger, so that you are always pushing yourself. Adjust your slowest and fastest time to your current fitness level. If this is too slow for you, start at a faster pace and peak at a faster pace. The magic of pyramids is that you can always adjust to your current fitness level. Here is a beginner's workout example. If it is too easy or too hard, adjust accordingly. I personally have used both of these methods to increase speed and to transition from run/walk intervals to just running. What do you think? Will you give it a shot? Let me know what you think! 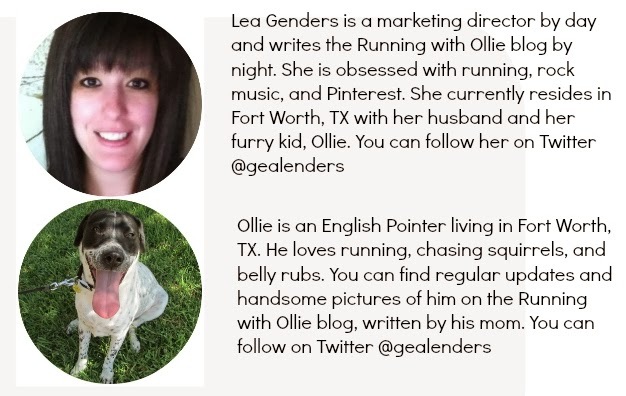 If you want more tips on how to get start running I have a giveaway for a copy of the Runner's World Big Book of Running for Beginners. Enter to win until 5/5. I do run/walk intervals sometimes too - absolutely nothing wrong with it! Especially if it is what your body needs!! I love the idea of listening to your body and not your mind. Mine lies all the time!! I am new to running, but just ran my first 10K without walking once! My mind lied the whole way! I would love that book! Yay congrats on your 10K! I love concrete ideas like this that are easy to implement. I've been running for about six months and have found it hard to get past that run/walk barrier. Can't wait to try these! Thanks Kimberly! Let me know how it goes! Love this post! Very useful information! I am going to add this to my Running 101 series that I am currently doing when I talk about "training" I will add this post! Great tips! I used to just run and recently switched to run/walk intervals. I actually got faster and enjoy my runs better. But eventually I might use these tips to get back into full running. Yes, I agree! Do whatever works best for you, makes it most enjoyable, and keeps you motivated! If run/walk intervals are your preference then that is great! Really helpful tips, this is one of the things I thought about covering on my blog. I've been stuck in the walk/run cycle since I started running 3 years ago.